Summer fills in much energy for us to plan outings or enthusiastically go working. But, when a cool weather strikes in, isn’t it hard to find a reason motivational enough to step out of our comfortable beds and get into the routine? Umm… thinking about some real motivation, the first thing I know that gets us women excited is getting dressed up. Aren’t I, right? Getting ready to look our best is what we women love doing. But, talking of the current season of autumn what could possibly be the Awesome Fall Outfits to Try Right Now that can make one bounce off the bed? I guess we’ve got you what you’re thinking of searching for right now. We’re so used to denim these days that it’s really hard to imagine our daily outfits without this fabric. While sometimes it really gets boring, we still want the same comfort. So, why not get comfortable in new shape? Try out this denim skirt and top it with a cool stripped, high neck blouse. 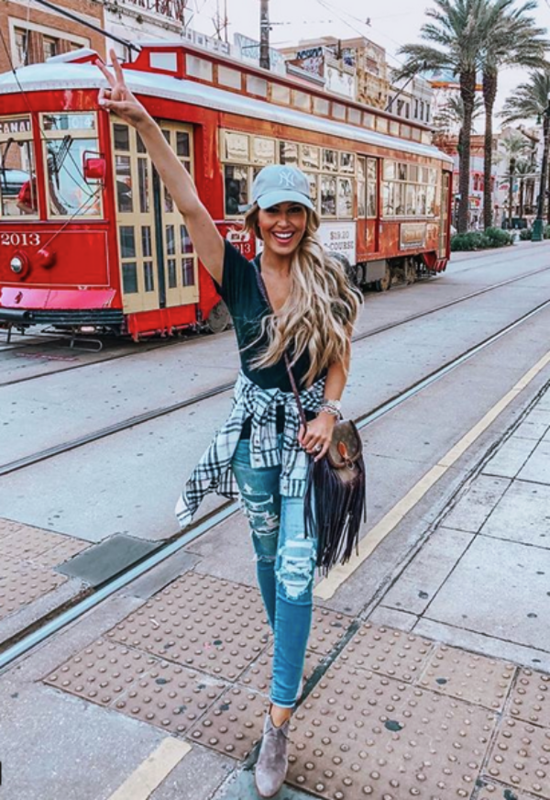 Complete the Awesome Fall Outfits to Try Right Now with long boots and go trendy into the streets of your city. Floral prints always look pretty, be it any time of the year. But, you can still add a tinge of fall to your pretty floral outfit. Get a short jumpsuit with floral print and cover it up with an over sized coat. Add on a pair of gorgeous heels or knee-high boots to get going. 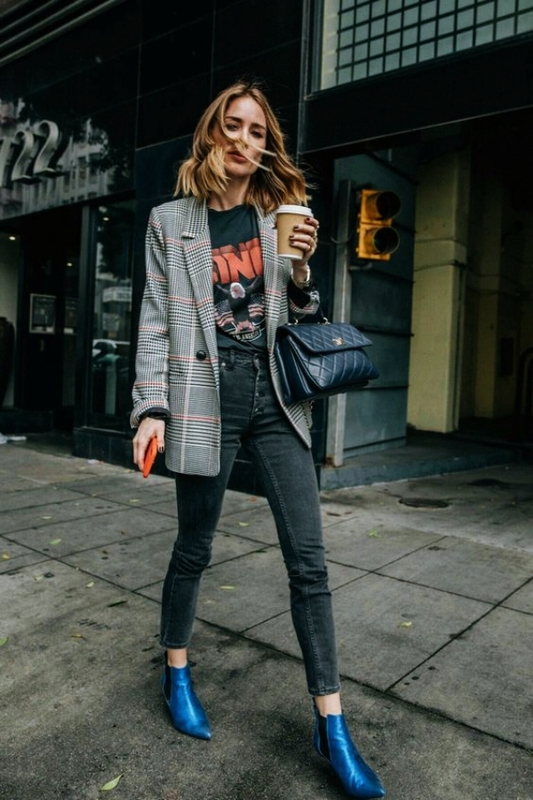 This outfit will perfectly fit into the brunch plans you make this fall. This mustard oversized sweater tucked in a high waist denim jeans is what you would love to wear for your picnic plans. It’s comfortable yet protecting from cold. It’s adorable yet casual and won’t let you go off worrying about how you look while enjoying and playing with your friends and family. Cause’ you will look too cute to find flaws in. These cool days make us all too lazy to go for work. But, dressing up in not so boring but fresh way will surely help. This formal outfit is for all those office going women who are tired of all the boring formal outfits. Pair it up with flat or slightly heeled ballerina footwears and you’re ready to go and flaunt. This gorgeous outfit consists of a silk skirt and a pretty white blouse. Well, a trench coat is always good to go with any of your fall apparel. Also, the painter cap adds stars to the outfit. Are you planning for a family vacation to some historical place? 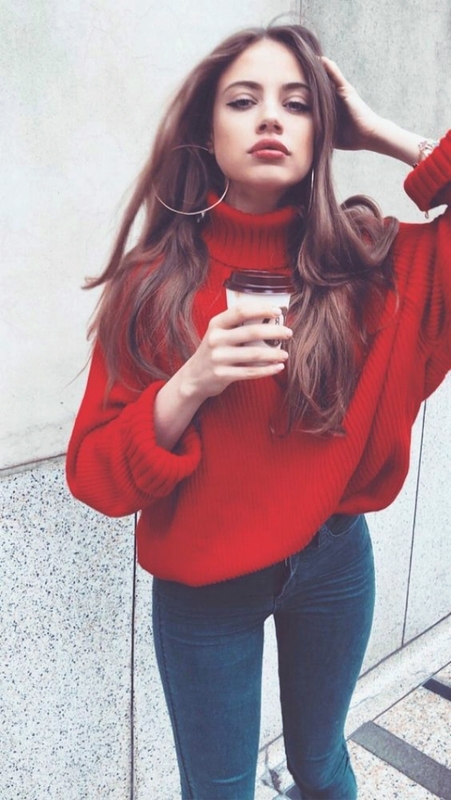 If yes, you must know that this Awesome Fall Outfits to Try Right Now will get you dozens of pictures to post on your social media accounts. Put on a grey sweater and pull up a black stripped wool skirt. Complete the look with a pair of leather boots and a jet black purse. Add on accessories to glam up the entire outfit and yay!! You’re classy ready. We all used to love getting dressed cute while going to school. There isn’t any bad in trying it yet again. This cute chic outfit with a long stripped blouse and a short denim skirt is something you’ll want to get into. Scarf it up for the perfect back-to-school look. Although, here are some easy-peasy scarf tying styles that might come really handy this fall. If you aren’t a too girly girl, we have something for you too. First of all, check out these crazily classy and updated hair color trends to try this fall. This trendy outfit consists of a shirt, sweater and a pair of brown chinos. If you love outdoor activities like photography, journalism, etc., this might be the style you’re looking for. Don’t you look for a comfortable outfit to slip into when you’ve to catch a really long flight? We’ve something for you then. Get into a comfy plain white t-shirt and a pair of stripped pants. Complete the look with a white wallet and a pair of good heels. Or add a blazer to your look to be on a more stylish side. Thinking of going partying? We’ve got you exactly what would get you out of the dilemma of what to wear. Copy this glamorous outfit with a floral print long shrug, a pair of jeggings and a pair of high heeled boots. Just perfect to make you slip into the party mood this fall. Accessorize a bit with a neckpiece and a pair of earrings. Whoa! You won’t get any eyes off you. Or maybe you need these seriously stunning ankle boots outfits to your rescue. Now that you’ve so many to wear this fall, why get time wasted being inside the house. 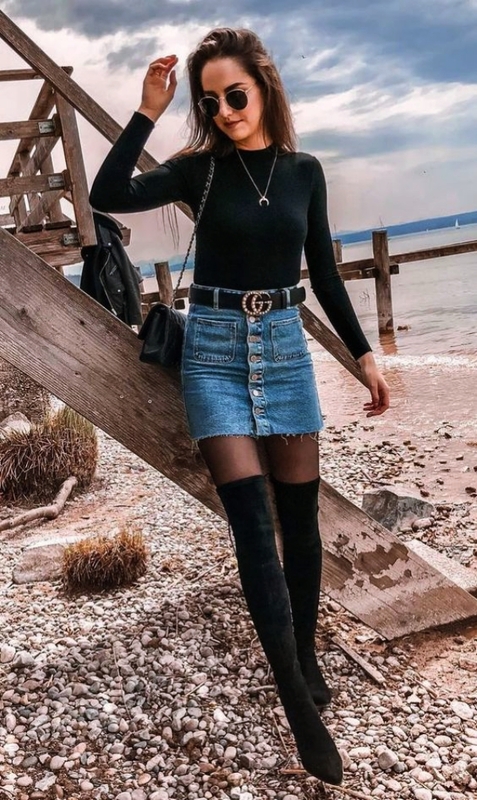 Go out, and enjoy this falls looking stunning with these Awesome Fall Outfits to Try Right Now.